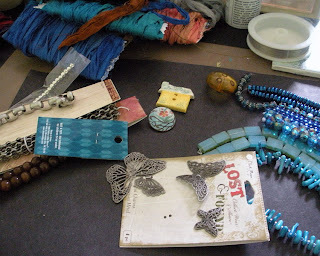 My bead table is spilling over with works-in-progress (WIPs), but I just can't seem to get anything completed. Don't you just hate when that happens? So much to do, my buttons are laying there just mocking me. 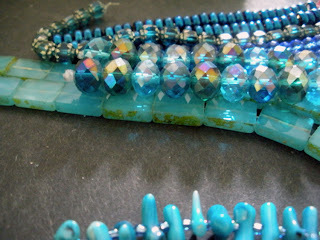 I've got lots of blue beads for the One Crayon Color Challenge from Sally at The Studio Sublime. 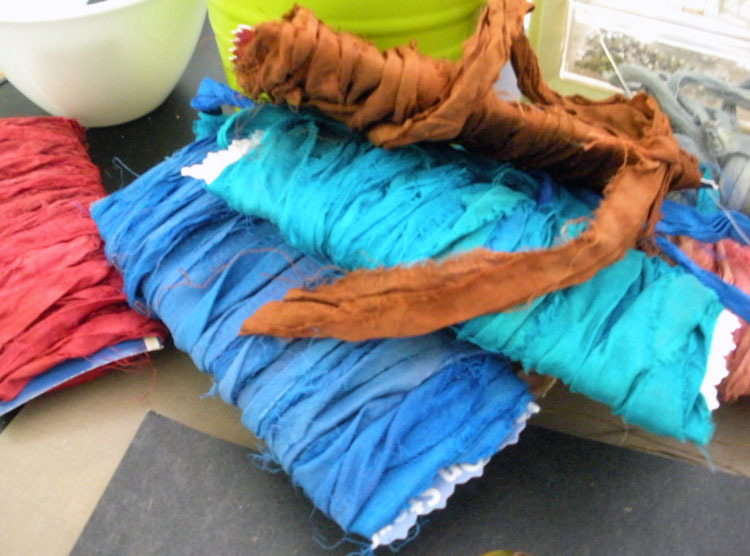 As well, these luscious silk ribbons came in from DesignTalentedOne and are calling to me to be used. 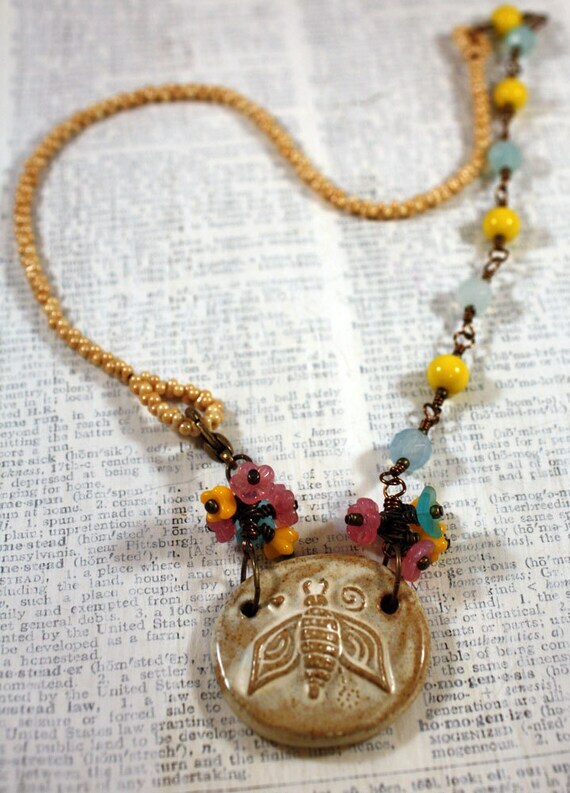 Now, if I could just knock out a few designs. . . wishful thinking perhaps! 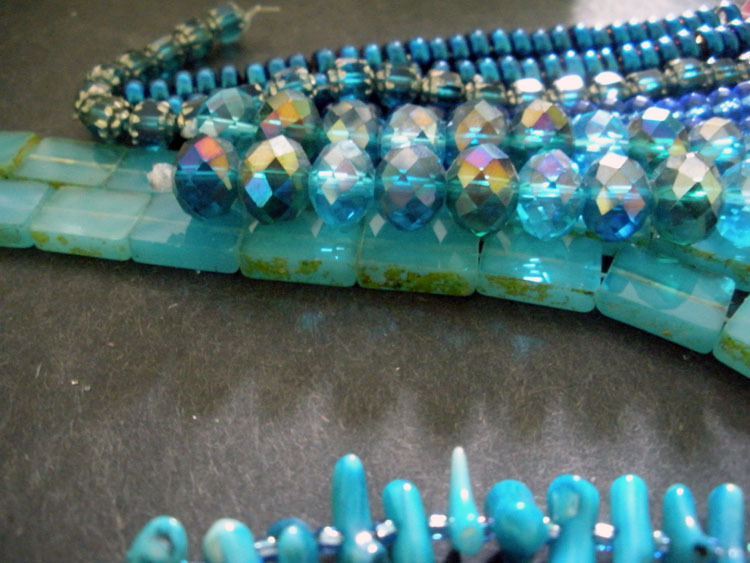 There's more Bead Table Wednesday where that came from over in the BTW Flickr Group. "What's New in the shop?" you ask. . .
Time to hit that overflowing table and see what I can knock out!! What are you producing today? I've had so many times like this! In fact, I have projects that have been sitting around waiting for a couple of months. They're in various states of completion! 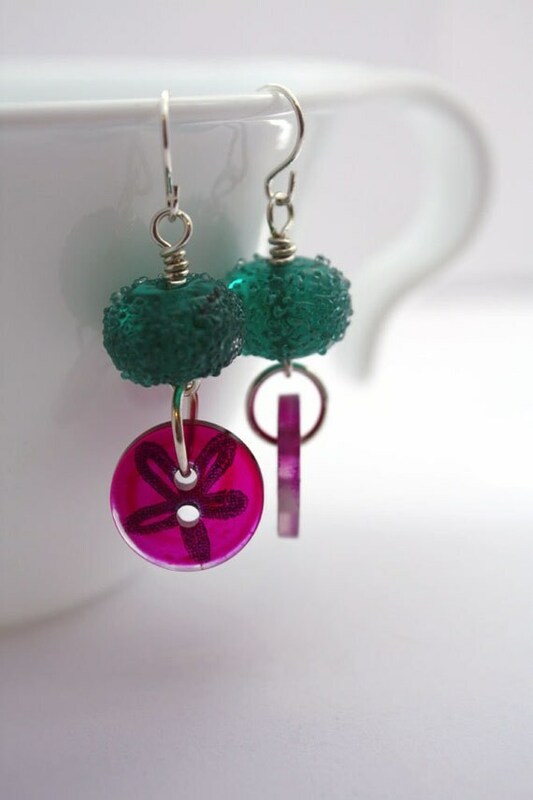 But, today I actually got a pair fo earrings finished and I finished the project for Amy's blog hop! So, for a change I had a productive day! I love what I see on your table!!! Totally understand the WIP. I am still working on getting some organization to my life. Then maybe I can accomplish something. Oh my you and I are in the same boat. 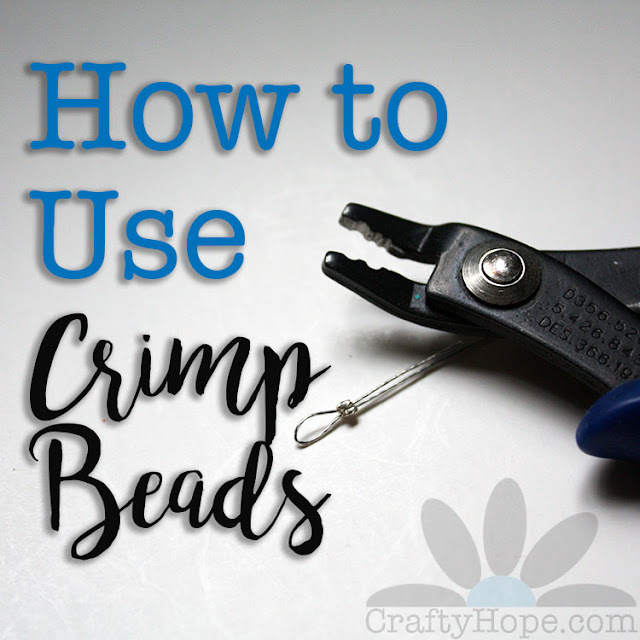 I have to get my piece done for Amy's blog hop on Friday and then there is the bracelet blog hop on Saturday, after that is the Beading Babes Project 4 reveal and all I have done for that one so far are the earrings Yikes! With fingers crossed I will get it all done in time. Oh wait I need to uncross my fingers so I can get it done LOL! 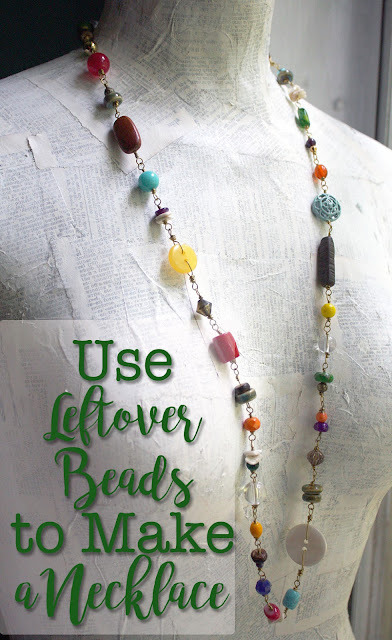 I love the beads you're using for the color challenge! They're so pretty, and I can't wait to see what you make with them.